How to get nail polish off carpet! You’re in the middle of a manicure when—bam! 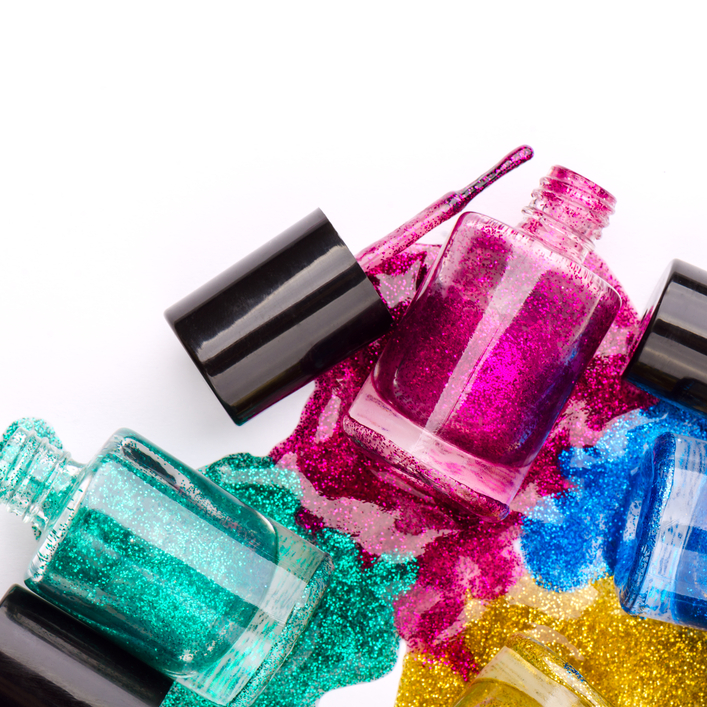 Your nail polish topples over and thick, glossy, bright polish begins seeping into the carpet. Although we would like to remind you that it’s not a good idea to paint your nails on an unprotected carpet or rug, time is of the essence! We don’t have time for carpet care lectures. You need to learn how to get nail polish off carpet! So pick up that bottle, grab some cleaning supplies, and forget about protecting your manicure (isn’t a stain-free carpet more important than a temporary manicure?). Read on to learn how to get nail polish off carpet. 1. ACT FAST. The longer you wait, the worse the stain will be. It could seep further into the carpet fibers or dry up. So as soon as you notice the stain, start learning how to get nail polish off carpet. 2. BLOT, DON’T RUB. When you notice a bright nail polish stain on your carpet, your instinct might be to grab a paper towel or cloth and start rubbing at it as though you’re soaking up spilled water. This technique can actually push the nail polish further into the carpet, so it’s important that you blot the stain instead. Start on the edges and work inward as well, so that the stain doesn’t spread. 3. REMOVE THE EXCESS. Before you reach for your cleaning products, remove as much of the stain as you can. Using the blotting technique, dab up as much of the stain as possible with a paper towel or cloth. 4. DO A TEST PATCH. Now it’s time to remove the stain. Before you start throwing cleaning products on the offending spot, test them in an unseen and inconspicuous area of your carpet. This is especially important if you have a dark-colored carpet, because some products will remove the carpet’s dye along with the nail polish. 5. REMOVE THE STAIN. If your carpet is a very light color, try using a non-acetone nail polish remover (acetone could damage your carpet). Pour some onto a rag and blot the stain, slowly removing it. If your carpet is dark, try using hair spray or rubbing alcohol instead. Again, spray/pour them onto a rag and blot. If these methods don’t work, you can also try using window cleaner (like Windex) or carpet cleaner. 6. RINSE. Once the stain is removed, rinse the area with water and dab with a cloth to dry. If the stain smells strongly of nail polish or nail polish remover, you might want to wash the area with a mixture of liquid dishwashing detergent and warm water before you rinse. « How to get oil out of carpet!! !